Tokai Forum - a subsidiary of TokaiRegistry.com :: View topic - 1980 TOKAI LOVE ROCK. Is this an original? What can I do? 1980 TOKAI LOVE ROCK. Is this an original? What can I do? 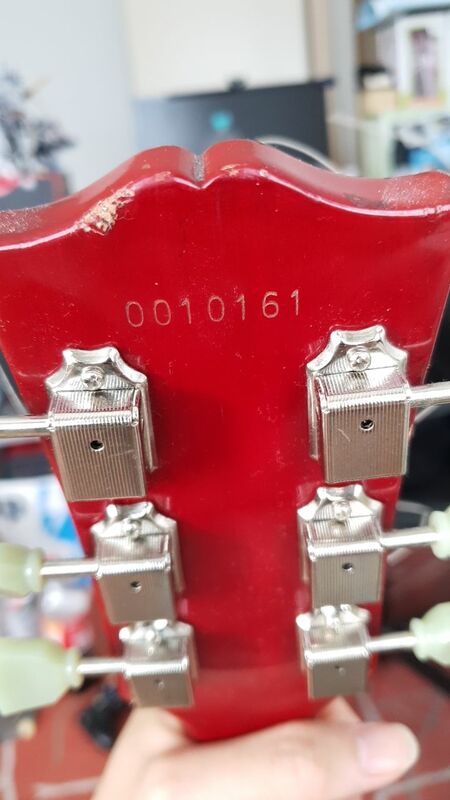 Posted: Sat Aug 18, 2018 12:13 am Post subject: 1980 TOKAI LOVE ROCK. Is this an original? What can I do? Hello there... This is my very first post in this forum. 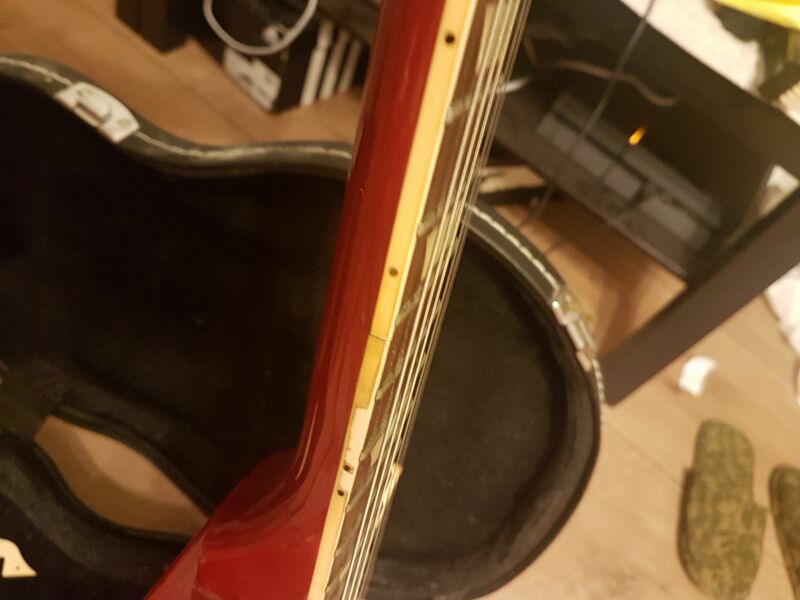 My brother at Netherlands bought this 2nd handed guitar there, changed the broken machine head and knobs, but he haven't played much since he bought her (He is actually a Bass Player). I want to ask you guys here whether she is an Original Japanese Made Tokai Love Rock or not? Also, what you guys think about the neck? is it Warped or twisted?? or she will be fine after I fix her up? You'd have to take it to a luthier in your area to find out how much getting it tuned up/playable would cost. Unless you can do some of the repairs yourself like replace the nut. Since you got it free it's a nice bonus right off the start. 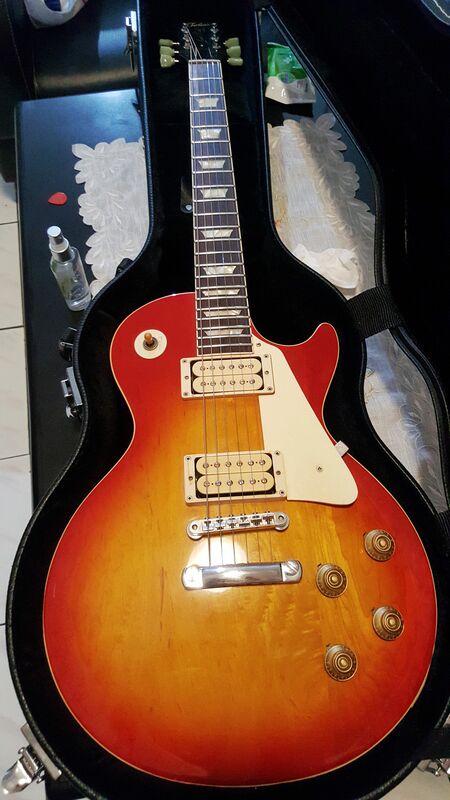 This is a lower end model so it isn't worth as much to begin with. Drop a few bucks into her and she will probably be a fine player level guitar. I have a 1980 LS50 inky that I really get along well with. I have really good luck with the 3 piece body types too. 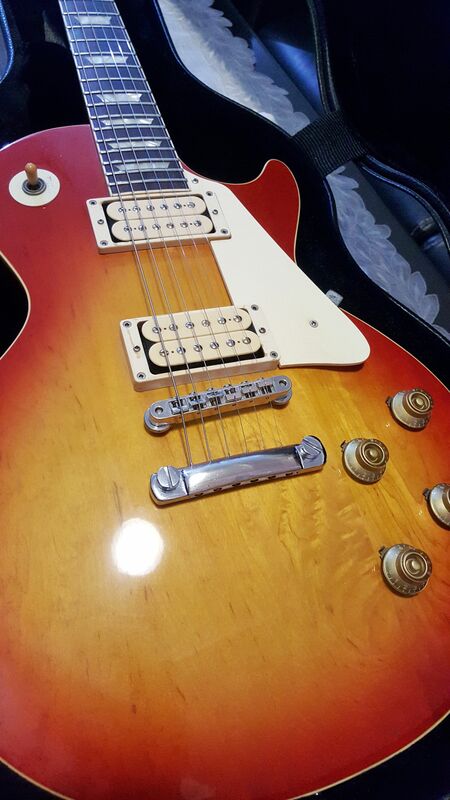 The Tokai I have and several 1970's Les Paul deluxe I had were all fine sounding guitars. 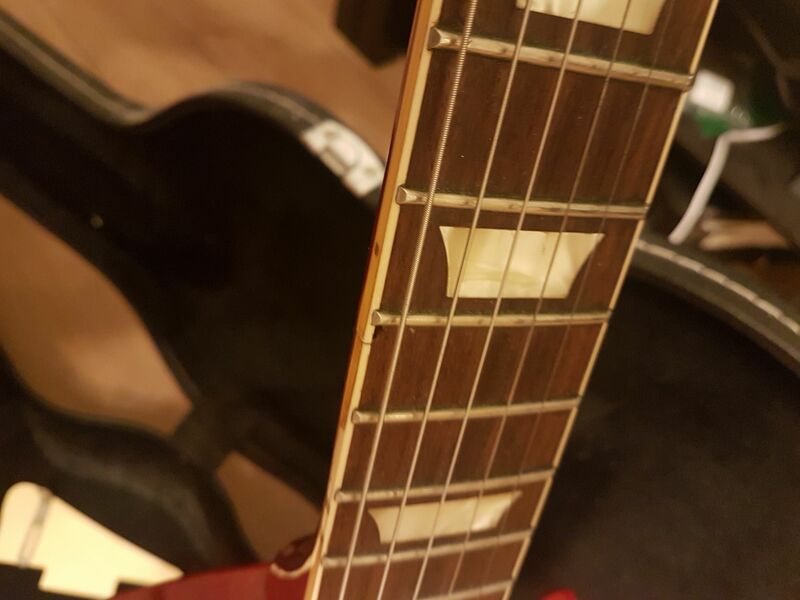 Maybe something about having one solid piece of wood running under the bridge and tailpiece instead of a center seam?? Nah, shouldn't matter at all. 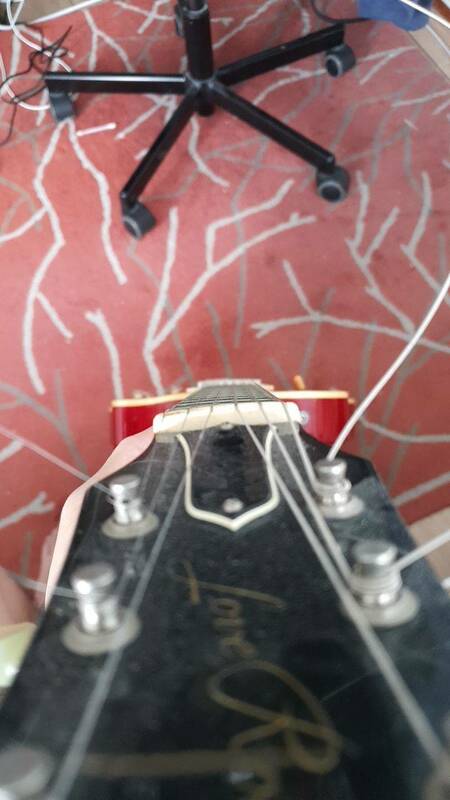 My center seam guitars all sound good too. Just to add . 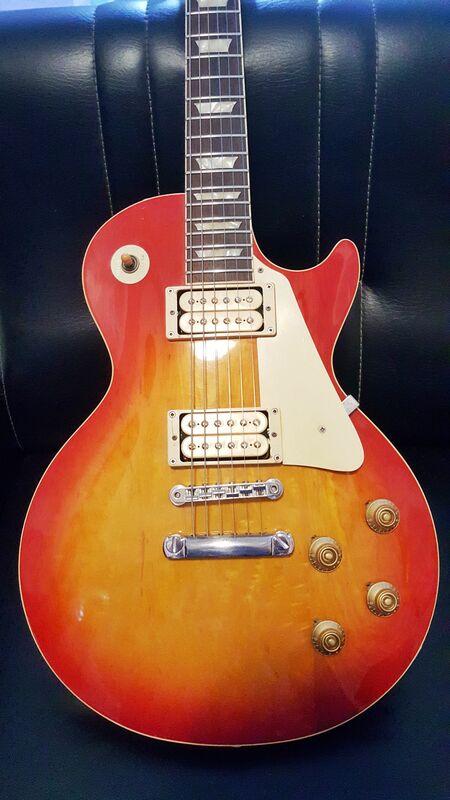 . .
Tuners and knobs have been replaced.Other than that it appears to be a late 1980 Tokai LS-50 Made in the Hamamatsu factory. Pickups appear to be genuine Goto double cream, double pole from that era as does the hardware. Thank you so much for all of your replies!! It really helps me a lot! 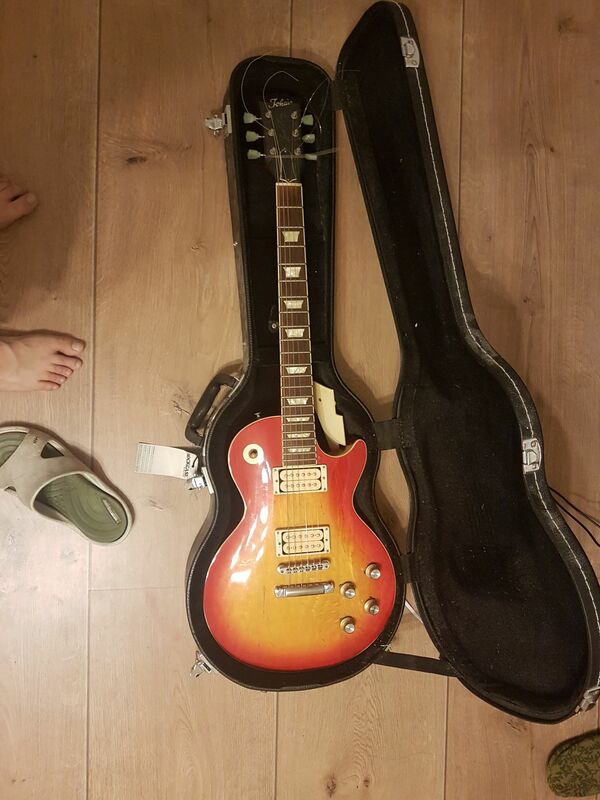 I believe this guitar was mine and the neck is fine. It is a good player. She was yours @Ziltoid?? Wow, world sure is a small place!! Now she plays amazing, she sounds amazing, and she is BEAUTIFUL!! Thank you so much guys for your advises!! Glad this has a happy ending !! !